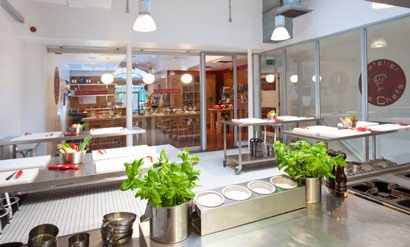 The only atelier with two kitchens, our Wigmore Street venue hosts cooking classes for 12 to 20 people from Monday to Saturday. 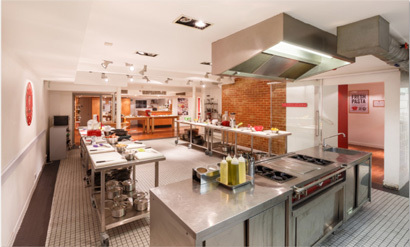 Classes are available at various times throughout the day and each kitchen has its own dining space and a bar where wine, soft drinks and tea/coffee are available. 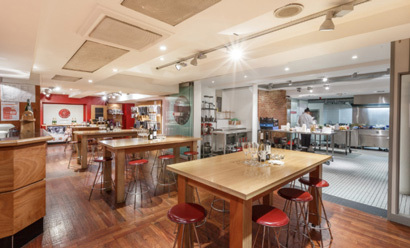 The central location of this atelier makes it the perfect destination for a shopping break, lunch with colleagues or a dinner with friends.